Leica M3 with a collapsible Summicron 50mm f/2.0 lens. 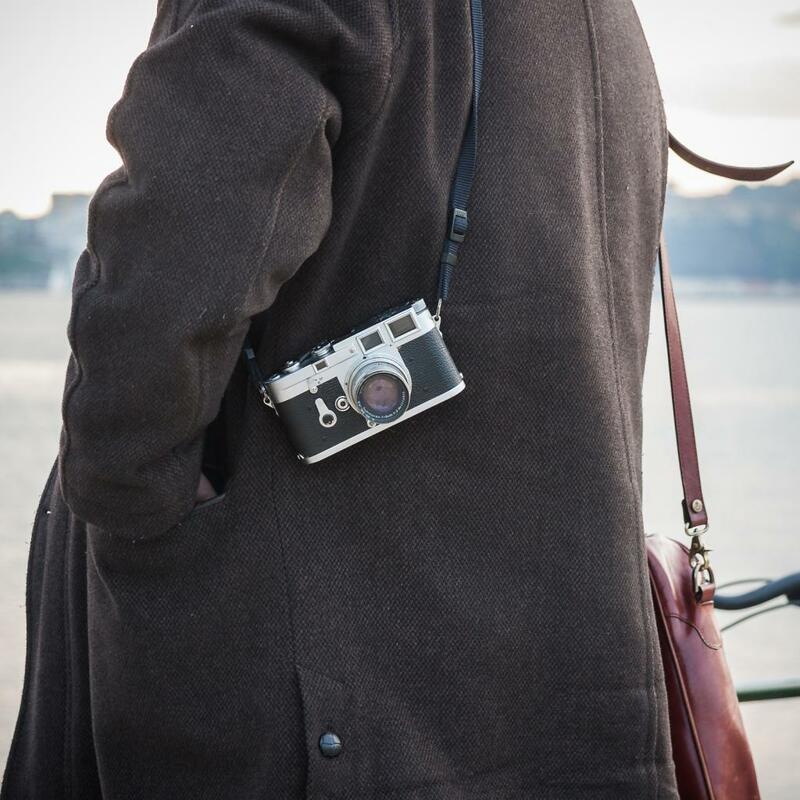 This classic 35mm rangefinder camera, introduced in 1954, is the most successful model of the M series. Walking about Lisbon on a sunny day, you're likely to see one or two.